With its modern green/blue reflective glass intermingled with stone, the President Place sure is a notable building to look at from the outside. 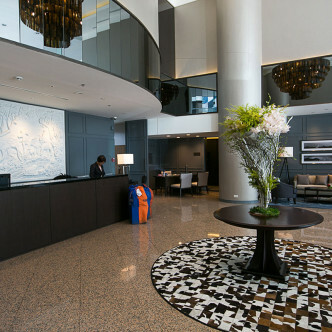 The lobby is equally as striking with its glossy stone counters and floors and high ceilings. 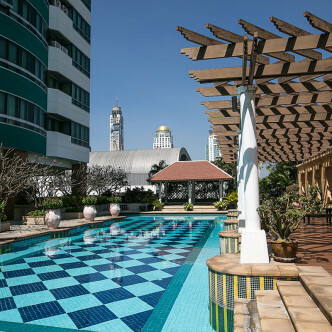 By way of facilities, the President Place offers both a swimming pool and a gym. The large outdoor pool itself is simply breath-taking, decorated with large sculptured bonsai trees and a wooden veranda. 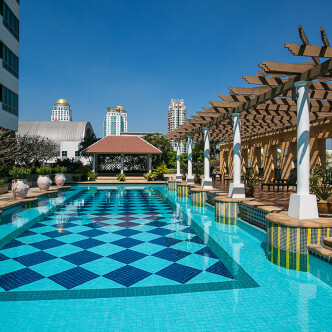 It is the perfect place to relax and make the most of living in Bangkok – there can be few better places to enjoy the sun. 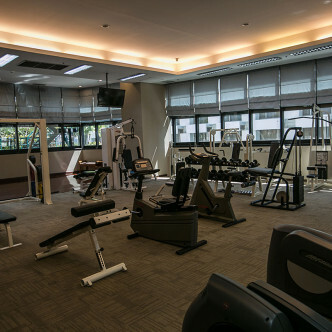 The gym is also impressive offering many modern machines and pieces of equipment. Keeping out has never been more fun! 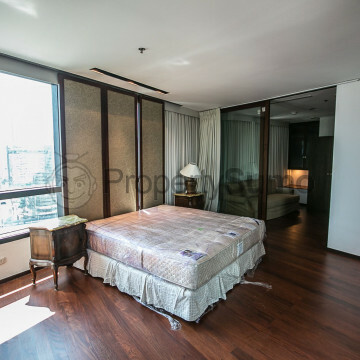 Chit Lom is an enviable location by anyone’s book as a place to live in Bangkok. Central World, SE Asia’s largest indoor shopping centre is housed here, as is Central Chitlom department store and Siam Paragon is easy to get to for those wanting some more high end retail therapy.